Although I'm English, my housemate is American, so for the past two years we've celebrated Thanksgiving. This year we had a lovely big group of friends come over (there were sixteen of us in total) and shared a meal. 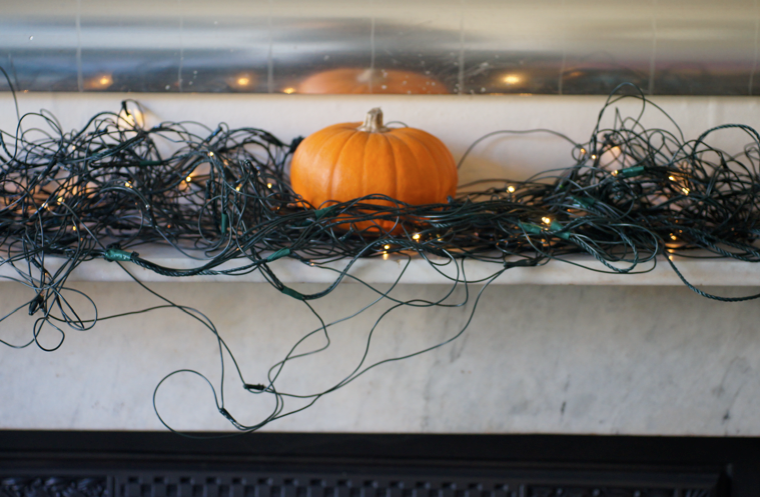 We had a big roast turkey, gravy, roast potatoes with crispy sage, mashed sweet potatoes with nutmeg (no marshmallows! ), cranberry sauce, bread sauce, stuffing, glazed cocktail sausages, carrots, french beans and brussel sprouts. I love bread sauce so we had to have it, even though it's not American (as with the roast potatoes, sausages and brussel sprouts). For pudding, my housemate made a lovely pumpkin pie and I made this chocolate pecan pie. I also made some Lebovitz cinnamon ice cream (to die for) to go with them along with vanilla ice cream and super thick double cream. 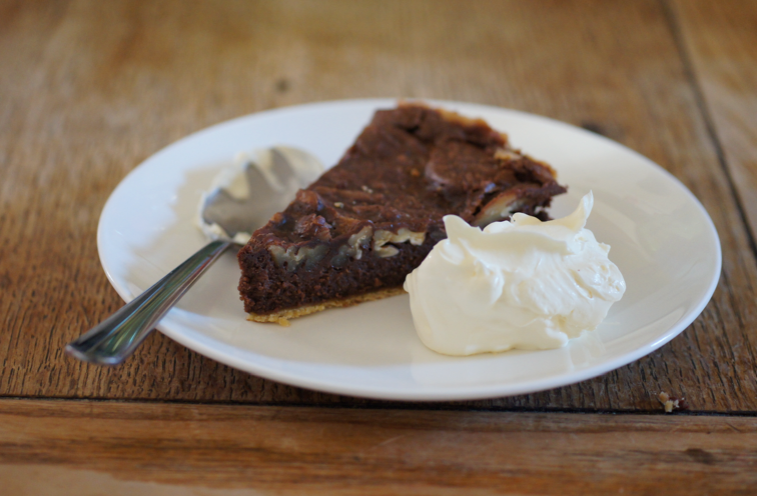 I adore this chocolate pecan pie - this is the fourth time I've made it and it's always delicious. I sometimes swap in a bit of dark brown sugar for some of the soft brown for an even deeper flavour. Using good quality chocolate is important. I was getting quite worried a few weeks before that I wouldn't be able to make all the food properly as there was plenty of other work stuff I had to do and it's not a holiday here. Luckily in the end I had most of the day free to cook and it all came together without any major issues. It was a really lovely evening. I managed to squirrel away a slice or two of the pecan pies for absentees and photographs but the cinnamon ice cream was all gobbled up. It's been really quite cold here ever since Thanksgiving. 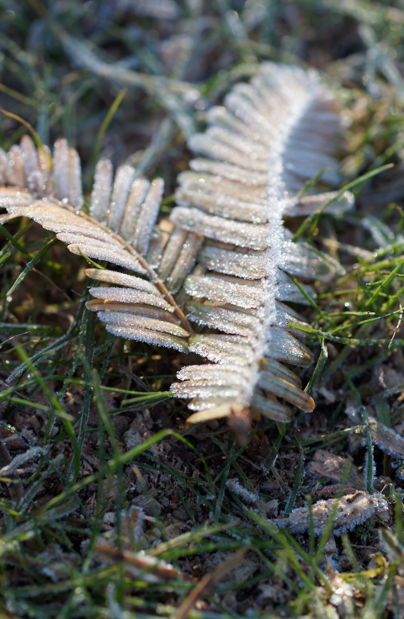 I woke up on the friday to the first really big frost this winter and went for a lovely walk. I've just got my new camera body so I took that along and took some pictures of a wintery Oxford. 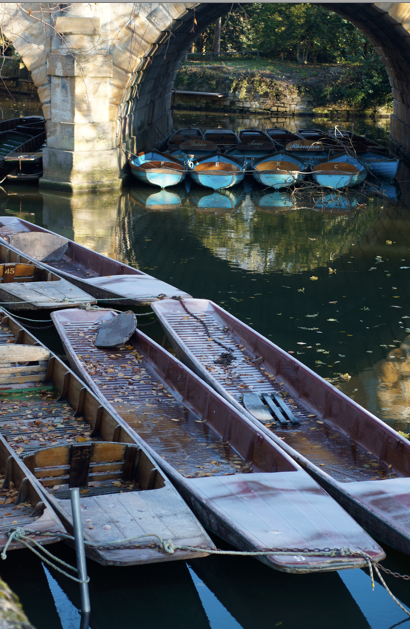 Don't have many pictures of the pie so I thought you could have some frosty pictures instead - I love that all the summer punts are filled with ice. Sift together the flour and icing sugar into a bowl. Cut the cold butter into small cubes. Rub the butter in until it looks like breadcrumbs. Use a knife to cut in the egg yolks. Add water if you need it to pull it together. It works well in the food processor. Bring it into a ball, wrap in cling film and chill for 30 minutes. Carefully roll the pastry out into a circle and fit into a 11" fluted tart tin - I've done two smaller ones successfully too. Leave a little bit extra as it shrinks. Chill for another 30 minutes. Preheat the oven to 180C. Blind bake for 15 minutes with beans and paper and about 10 minutes without, keeping an eye that it doesn't go too brown. Set aside to cool while you prepare the filling. Prepare all the elements. Melt the chocolate in a bowl over a pan of simmering water. In another bowl, mix together all the other elements. Stir the chocolate into the other bowl. Spoon into the tart case. Put in the oven (still at 180C) for around an hour. You may well need to cover with foil to stop the pastry burning. Serve either warm or cold with ice cream or thick cream. how wonderful...I have noticed recently that pecans are expensive compared to other nuts, it feels luxurious...A twist on the nutella: ) Beautiful photos, thanks!